The question that drove design for Ixalan’s events was: How could we take Ixalan’s world and translate it into interesting events? 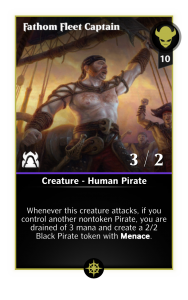 After quite a few design iterations, we settled on a very simple approach to it: What if Ixalan’s events had rules and modifiers that used the mechanics of the set? This way we could create a fun and varied environment for players to experiment and adapt the different rules in different ways. Eventually, we decided on the following structure: Each Event’s nodes would have a special rule that would affect that node. The nodes would also always have rules that somehow linked to the theme of the set. Below are the breakdown of the Ixalan Events. 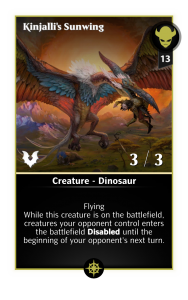 Across Ixalan is a PvP event with a similar structure to the Trial of the Planes events. They will be short events that have color restrictions on each iteration. The entry fee will be significantly reduced from 60 MC to 20 MC. 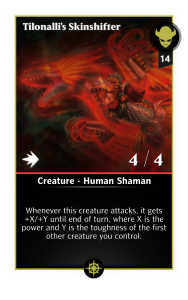 But the biggest change coming with Ixalan to events are the effects and rules that affect each node, so, without further delays, here are the rules for the Across Ixalan Nodes, along with some tips on how to play them. Keep in mind, though, the tips are just tips. When Ixalan comes out, take your time exploring your options on each node to make sure you get the most of your collection and the game! In the Treasure Hunt node, starting on turn 3, players will find a Treasure every 3 turns. Since players will be getting Treasures every 3 turns, you will have access to more mana as the game goes on. Destroying supports from your opponent might also be a good way to deny them the extra mana. Check out this brand new Mana Drain spell for all blue mages! 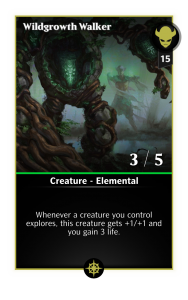 In this node, starting on turn 3, your first creature will Explore at the start of every turn, while your opponent’s creature will Explore slightly more. Big gem conversion strategies and creature protection/removal should really shine here. Protect your creatures! Check out this Elemental and imagine the possibilities! Deal damage to the opposing Planeswalker. For your opponent, the abilities are stronger versions of the ones you get. Strategies that revolve around regenerating creatures, creatures with Berserk and defensive creatures are a good place to start here. Check out this cool enrage effect that buffs all your creatures! Make the opponent lose life. Destroy gems of your opponent Planeswalker’s colors. Give mana to a random spell in your hand. Your opponent’s creatures, however, will also do that… only better. Cheap, aggressive and evasive creatures are really good here, and strong spell-based creature removal should also shine. 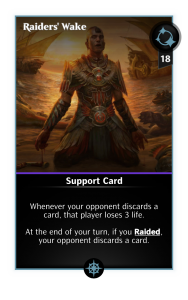 Finally, check out this amazing recurring discard and damage Raid support! 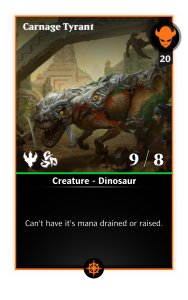 That’s it for Across Ixalan. 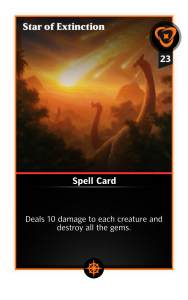 Hopefully, these events should take you… well… across Ixalan. 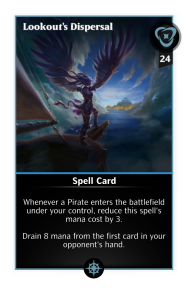 Check out this new Pirate flavored Mana Drain spell and a new Merfolk Mythic. This node is built around the encounters between the Dusk Legion and the Brazen Coalition. Here, all your Vampires gain Flying and get stronger whenever an opponent takes damage in a turn. 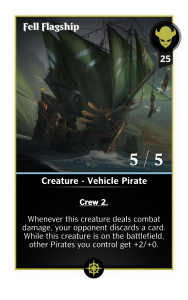 Your Pirates will get a passive power buff and weaken your opponent’s last reinforced creature before they die. 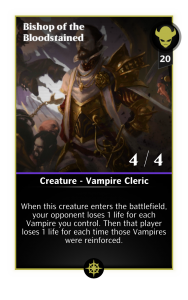 A special rule that affects both players is that they both lose life at the beginning of their turn (this won’t trigger the Vampire’s getting stronger). Free damage is free! Here are a brand new Pirate and a flashy vampire! This node reflects the conflict between the Sun Empire and the Brazen Coalition. 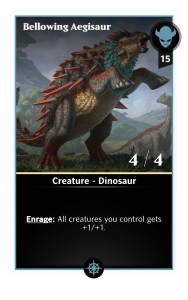 In this node, for as long as you control a Human, your Dinosaurs will cost less… and your Dinosaurs will deal damage to your opponent’s last creature as they enter the battlefield. Pirates here have Haste and find Treasures whenever they attack. 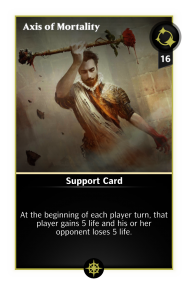 The special rule that affects both players is that they both draw an extra card at the beginning of their turn and discard a card at the end of the turn. Filtering at its finest! Take a look at this new Human Shaman and Pirate Vehicle! Here is a brand new Dinosaur for you to see. 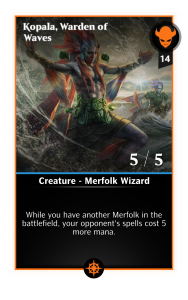 While you are at it, check this ever growing Merfolk out too. Gain life again and again with this new Vampire themed card, and delay your opponents with this cool new flying dinosaur! “That’s it for Ixalan’s Events”, says the non-existing team member who doesn’t like Legacy. “Oh Well… Of course we can”, says the same non-existing team member. “Well… That sounds like a nice idea… but I hate Legacy and we should never help its players.”, says the stubborn non-existent team member that hates Legacy. 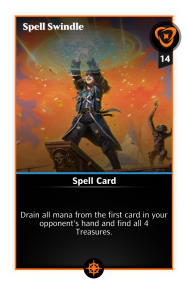 Since this Non-Existing Team Member that hates Legacy can no longer get in the way, we thought you should check out this huge new Mythic with a pretty cool effect! 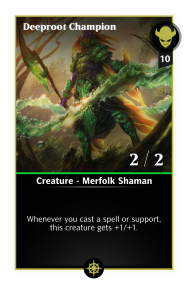 The fourth and final part of our developer blog series regarding card details can be found HERE. 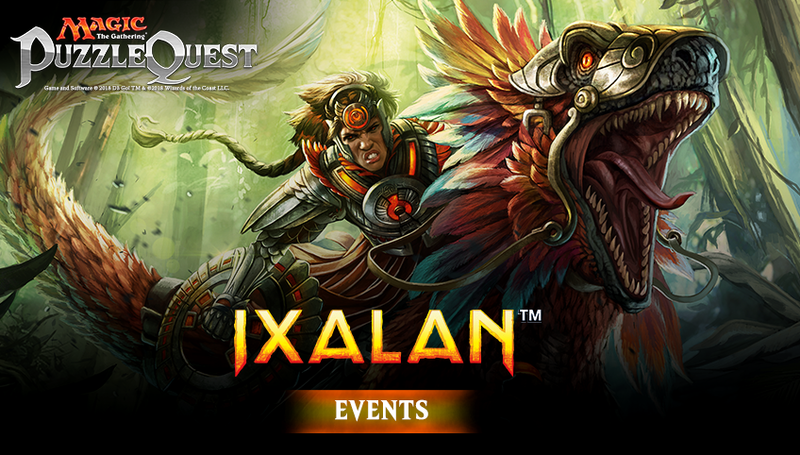 Ixalan is scheduled to arrive in Magic: Puzzle Quest next week (week of Feb. 12).